Landscaping in Florida presents its own set of challenges. Florida is known as the sunshine state, and as such it has a very large agriculture industry. Unfortunately, many of the practices that are used in large-scale crop production don't always transfer to home landscaping. One of the biggest challenges in Florida landscaping is irrigation. The beautiful warm, sunny weather quickly turns into a hot, searing environment early in the spring. This condition is frequently compounded with the presence of poor soil. So, many gardeners in Florida look for alternatives to grass and high maintenance plants. There are several alternatives to grass that can provide an attractive look without the water. 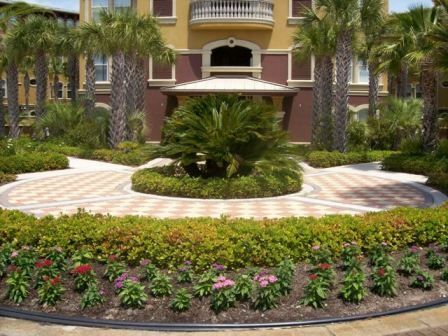 Many gardens in Florida utilize brick paving stones for edging and walkways. The availability of a million different colors and styles allow you to pick and choose exactly what they are looking for. The use of crushed stone or pine mulch is another way to cut down on the amount of grass you must maintain. By installing planting beds that might feature one or two really eye-catching plants, you can cover a large section of your lawn while only needing to maintain a few plants. The gravel or mulch should be installed over a weed mat to prevent the need for constant weeding. Tree selection is another area that can really accent your lawn. Here in northern Florida, live oak trees are a very popular landscaping option. These trees grow naturally here, which means that they are naturally suited to resist drought and local diseases. When most people think of Florida, they think of palm trees. Actually, palm trees do not grow naturally throughout the state. So if you plan on buying palms for your landscaping plan, do your research to make sure that the ones you are buying will work for your application. There are a lot of different varieties and they all have some unique needs. 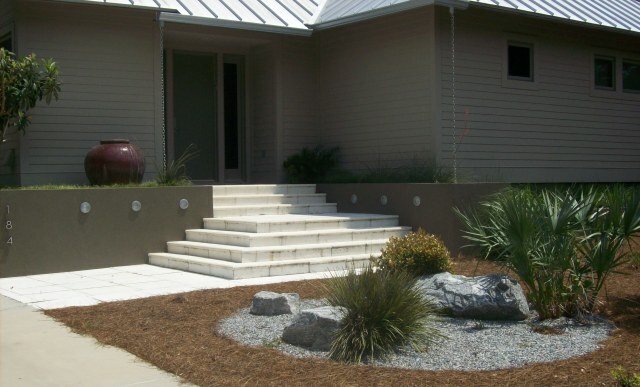 Return to the Landscaping Information page from Landscaping in Florida. Go to the Home Page From Landscaping in Florida.